Concrete is the primary building material, with slate flagstone used on the floor. 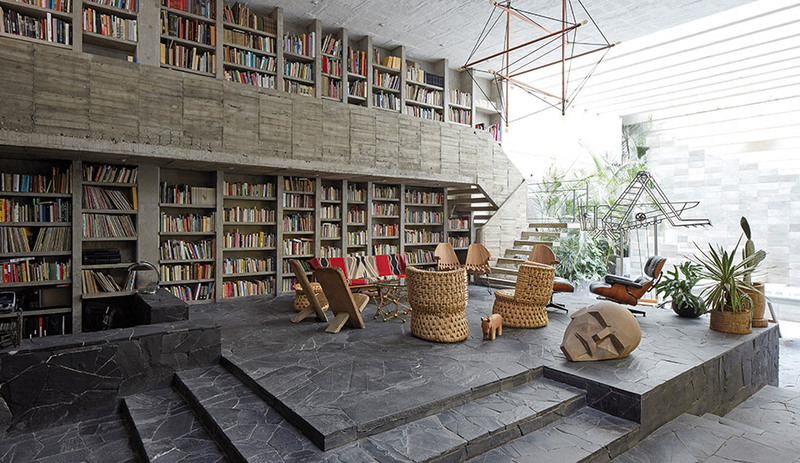 The main living area – casually furnished with vintage pieces – is defined by a massive library of books. 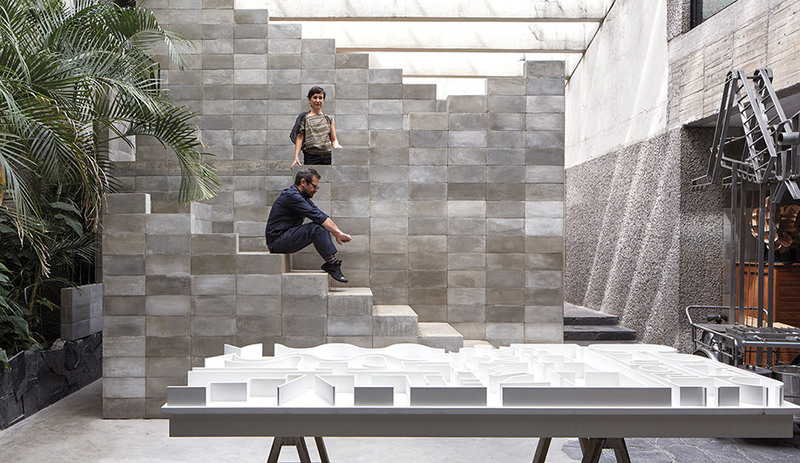 A cinder-block staircase leads to an upper-level private workshop. In the foreground is one of Reyes’s art pieces, the Museum of Hypothetical Lifetimes, originally shown in 2011 at the Guggenheim in New York. 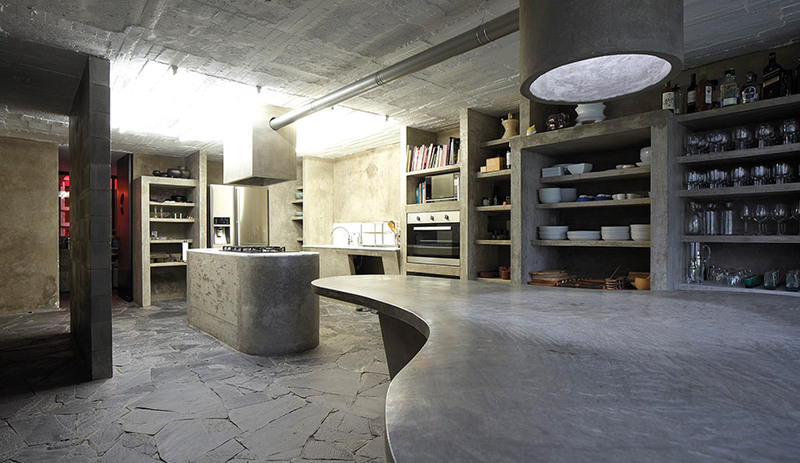 Flintstonian shelving, a rounded kitchen island and a stove hood are all made from concrete. Aside from the polished countertops, most of the surfaces are left raw to show off their imperfections. 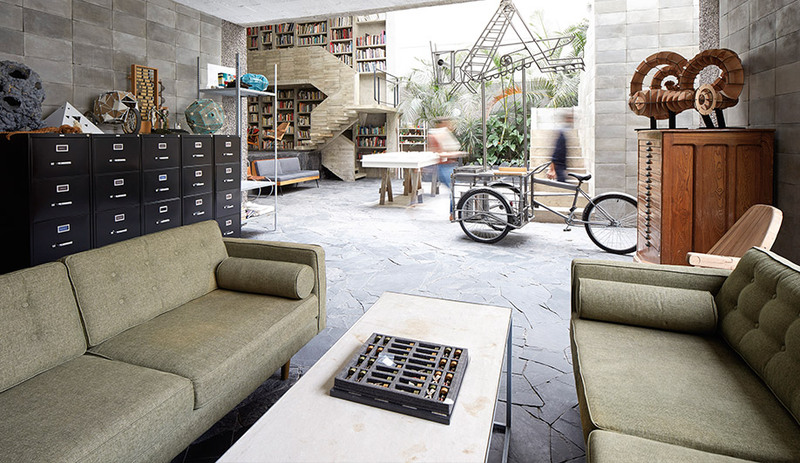 “You’d never call this a minimalist house,” says Pedro Reyes, speaking by phone from his home in Mexico City. No, you definitely wouldn’t. Before they broke ground, Reyes and his wife, Carla Fernández, had a vision unlikely to be found on an architectural cheat sheet. 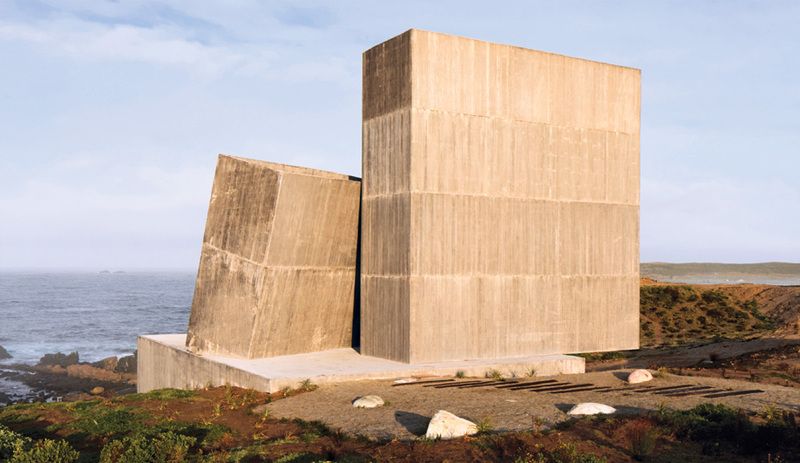 “We had a certain idea of a science-fiction villain who lives on an island in a grotto, surrounded by elements of stone, strange apparatuses, switchboards and Op art,” says Reyes. “We imagined the ruins of an extraterrestrial civilization. Something that feels futuristic and ancient at the same time.” Well, mission accomplished. Occasionally, blocks of bright colour break up the mostly grey tones of the interior. The house is a creature with an 800-square-metre footprint that grew (and continues to grow) from the concrete shell of a conventional home that once occupied the site. 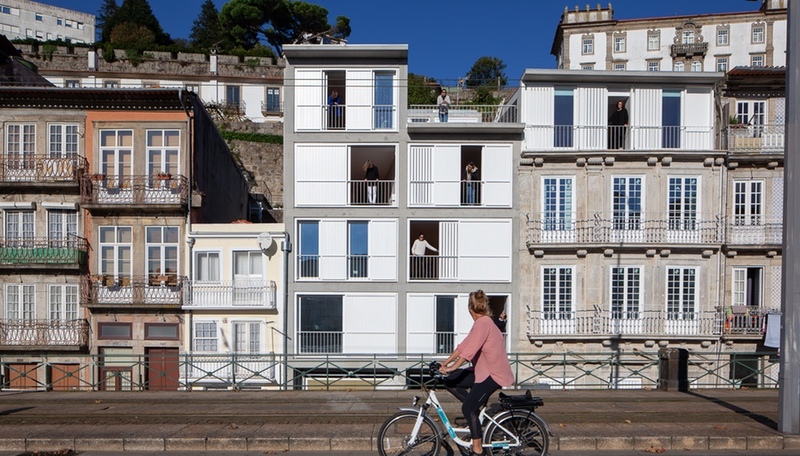 Reyes, Fernández and their two children have lived in the project throughout years of demolition, renovation and construction. The project is still not exactly complete – and it may never be. That’s the point. By this time next year, Reyes will have built an addition to the home to serve as a stone shop, a wood shop and his studio. Even the photographs accompanying this story are no longer accurate, despite the fact that they were taken less than a year ago. The couple has since doubled their remarkable bookshelf. 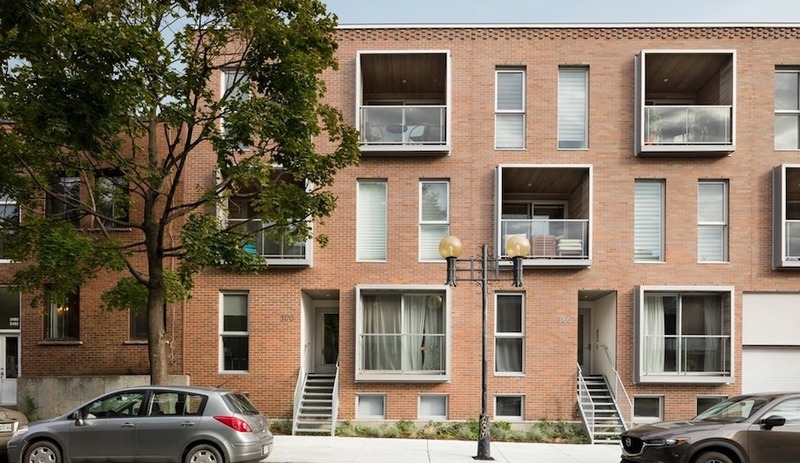 The brutalist-inspired house is filled with art and is itself a work-in-progress, with new rooms continually being added. The library has doubled in size since these photographs were taken less than a year ago. 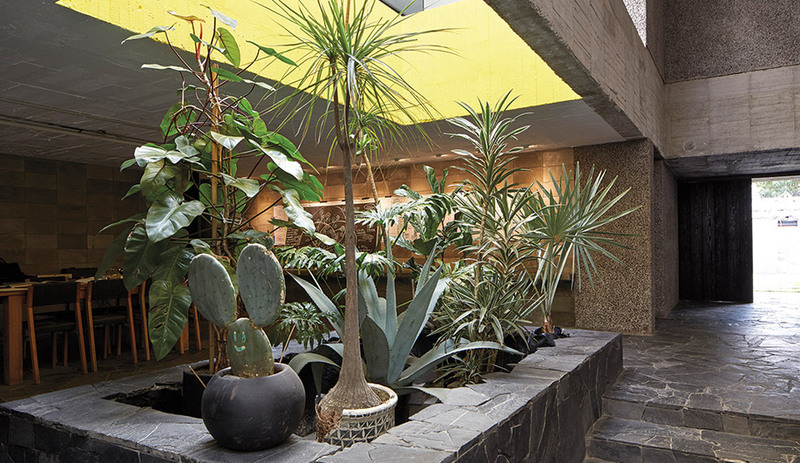 As inspiration, Reyes cites one of his and Fernández’s favourite places: the nearby Anahuacalli Museum, designed in the late 1950s by Diego Rivera and Mexican painter and architect Juan O’Gorman, and in a style Reyes describes as “Indigenous brutalism.” He notes that the home’s colours are mostly inherent to its materials (the many shades of grey concrete throughout, for instance), and that the few splashes of colour (such as yellow and red) can indeed be understood as nods to Luis Barragán. Such references, says Reyes, are moments or, better yet, notes that make a different song depending on their arrangement; these allusions are both spontaneous and extremely considered. The purposeful lack of uniformity in the house – the desire for it to be punctuated by ellipses and question marks rather than periods – results in poetic paradox. Nature springs from concrete, with bursts of greenery that grow from stone squares and reach toward skylights two floors above. Composed of “ruins” that form a comprehensive whole, the home is extremely current, even as it draws upon references to the ancient. 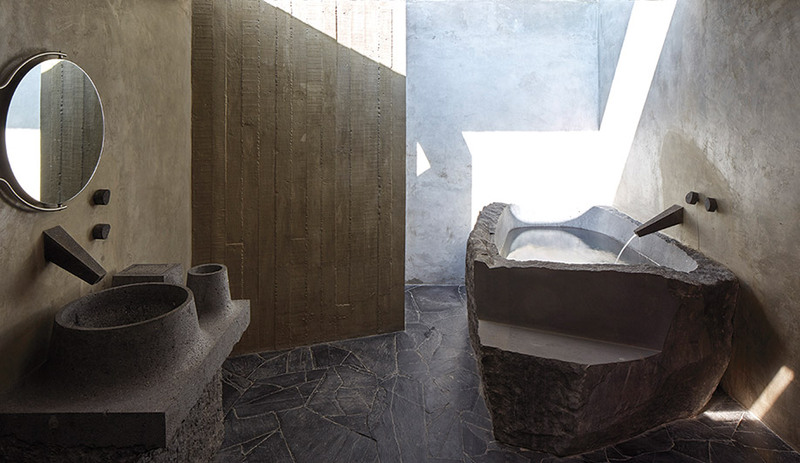 Built-in stone or concrete fixtures, such as the bathtub and sink, are complemented by a rotating array of furnishings designed by the owners themselves. And though it gives space to introversion, with private studio areas for both Fernández and Reyes, the home is also a relaxed extrovert, allowing the owners to work with big teams on different projects, and comfortably holding hundreds of party guests. At its centre is what Reyes calls an “obsession”: that ever-expanding, continuous wall of books. Two storeys tall, the library is a defining element of the architecture. “It’s the brain of the house; it’s the soul of the house,” he says. “Our work and thought process depends on having an organized library. Every month we add an average of 100 books to it. Both Carla and I are always organizing the sections and looking for sources. We always need more space. 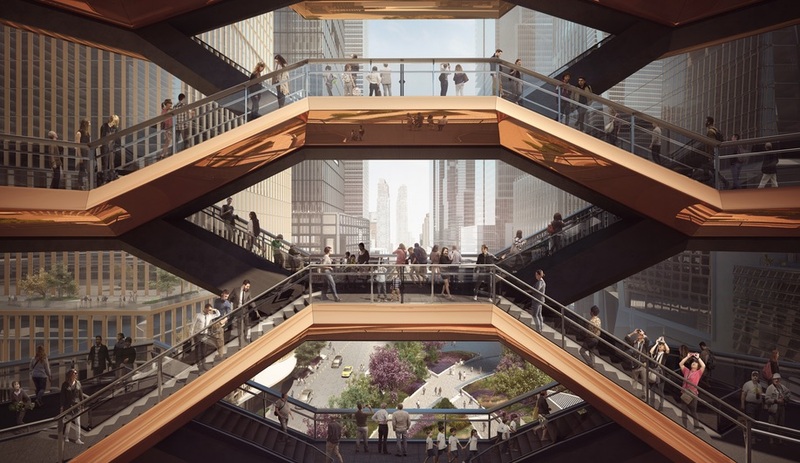 We both feel like the library is a part of our body – if we don’t have the library, we cannot think.” And the way they work is the way they live: connected to history, engrossed in constant research and creation, and rooted in a present that cranes toward the future.